The ELF Force Measurement System is a complete load and force measurement system with multi-point sensing and high speed capabilities. The ELF System is a user-friendly, cost-effective load measurement system. 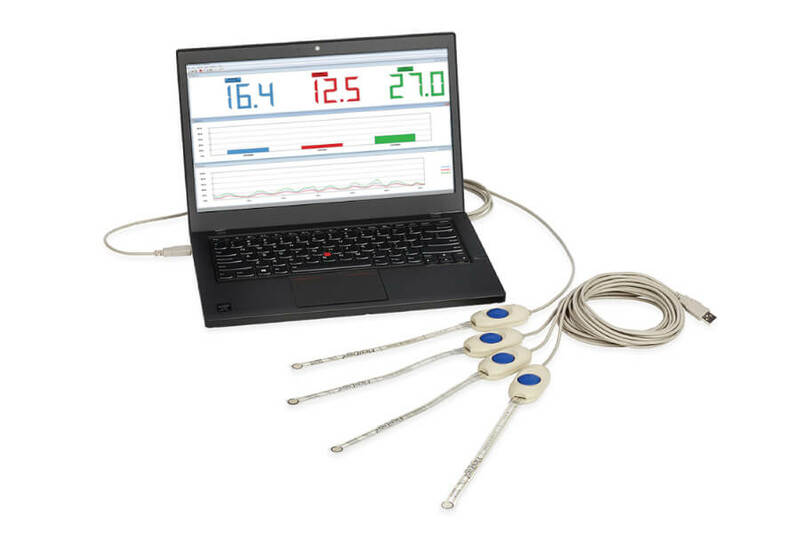 This system combines three FlexiForce B201 sensors, USB-interface electronics, and Windows-compatible software*, turning your PC or laptop into a force measurement instrument. The ELF is compatible with all standard FlexiForce sensors using an ELF adapter tab. Additional handles are available for purchase. This system is capable of multi-point sensing and available in a high-speed version. For more detailed information on the ELF System, including how to set it up and take force measurements, please download the ELF User Manual. * Compatible with Windows 7, 8.1, and 10. Also, handles starting with serial number 125 (see back of handle) are not compatible with ELF software 4.3 and above. Newer ELF handles starting with serial number 126 are only compatible with ELF software 4.3 and above. **If you purchase multiple handles you can measure up to 16 points. You may need to purchase a USB Hub to enable you to measure multiple points at one time. The ELF system's patented electronics allows you to optimize the performance of the ELF system over a selected force/load range. The electronics adjust the device sensitivity to best fit the dynamic range of the specific application. This allows you to "fine tune" FlexiForce sensors for optimal performance. Residing within the plastic ELF™ handle is the data acquisition hardware with USB connection. This patented interface ensures optimal performance of our FlexiForce™ sensors. The simple insertion of a FlexiForce sensor yields a powerful measurement tool. Our patented electronics allow you to optimize the performance of the ELF system over a selected force/load range. The electronics adjust the device sensitivity to best fit the dynamic range of the specific application. This allows you to "fine tune" our single element sensors for optimal performance. Designed to be user friendly, simple calibration procedures can deliver accuracies of ± 5%. More controlled procedures can reach an accuracy level of ±3%. The ELF's innovative electronics provide high quality signals at distances of up to 30 feet from the PC. Do You Have Questions About the ELF System? B201 Sensors have a patented tab interface and are designed exclusively for use with our ELF and High-Speed ELF Systems. 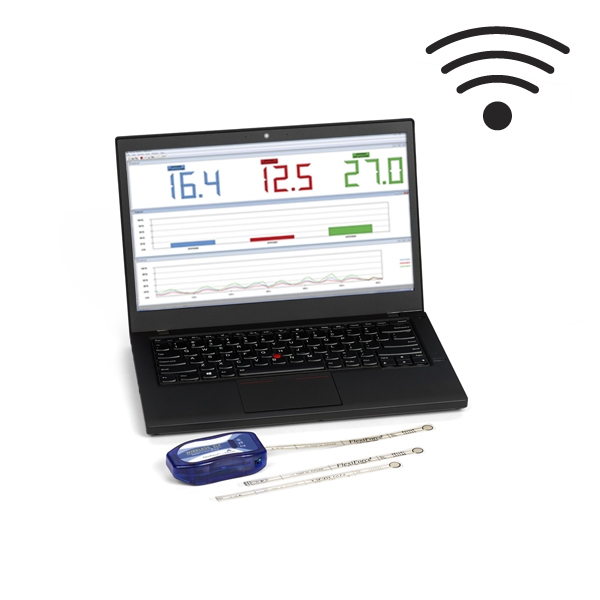 The Wireless ELF 2 System is a user-friendly, cost-effective load measurement system, turning your PC or laptop into a complete force measurement instrument.